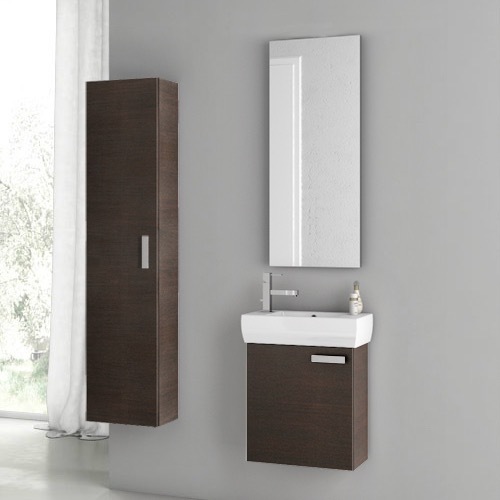 This single person bathroom vanity is perfect for your contemporary guest bathroom. 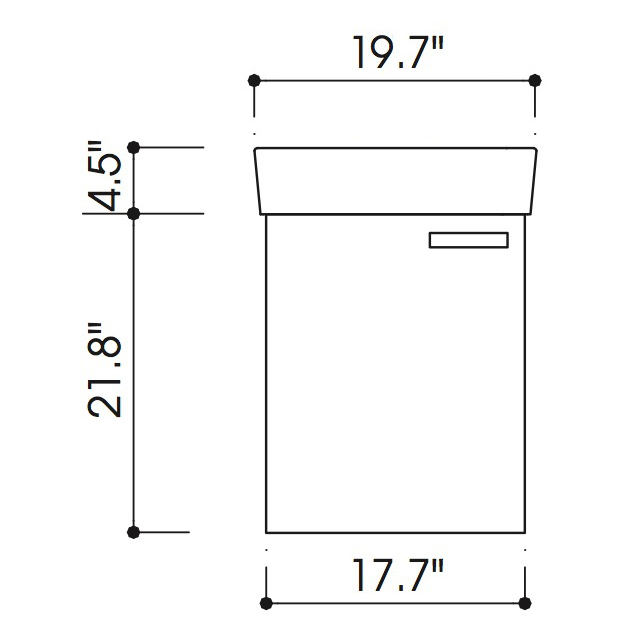 It is a four piece vanity set that includes a vanity cabinet with one door, bathroom sink, tall rectangular mirror, and tall storage cabinet. It is a wall mounted set that was made in Italy by ACF. This set comes in wenge finish. Basin Depth: 3.25" Basin Width: 6.13" Basin Length: 10.25"
Overall Length: 19.7" Overall Width: 9.8" Overall Height: 4.5"
Width: 39.4" Depth: 0.8" Height: 15.7"